Go Gorilla tracking amidst the backdrop of extinct volcanoes of Virunga Mountains. 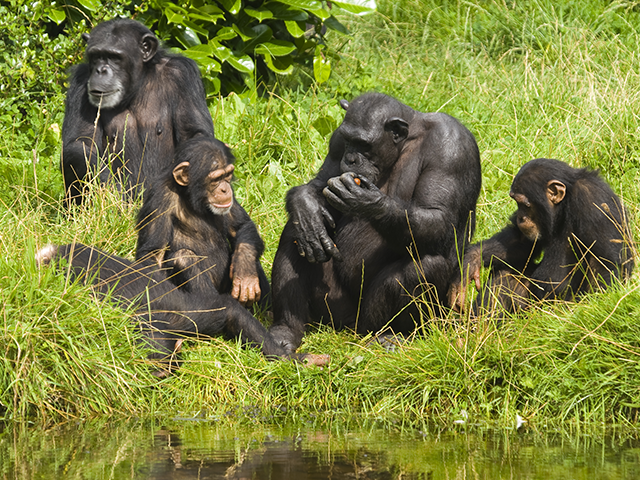 Enjoy the scenic landscape of Rwanda as you go in search of Golden Monkeys, Chimpanzees and other animals. Round off the trip with a tour of Kigali city and a visit to the grave of naturalist Dian Fossey. The trip starts on your arrival at the airport in Kigali from where our representatives will take you to Virunga Lodge. 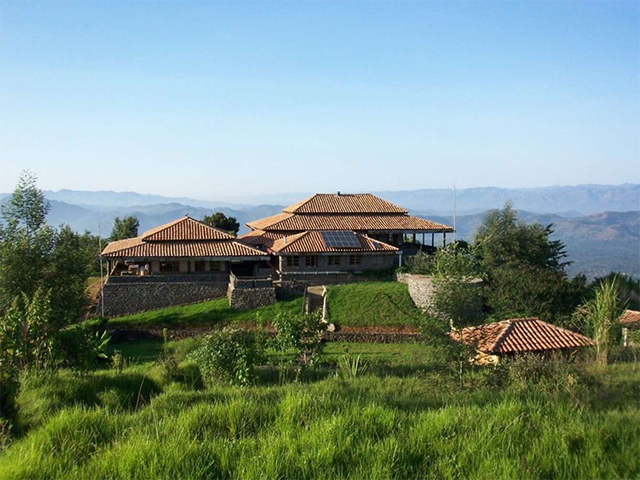 It roughly takes about 3 hours to reach the lodge which is set in a spectacular location overlooking the Virunga volcanoes and shimmering lakes of Ruhondo and Bulera. 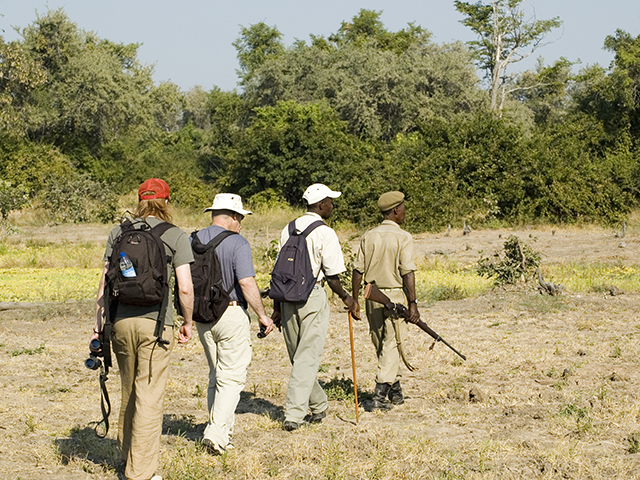 On reaching the lodge, you will get a small briefing about your safari. 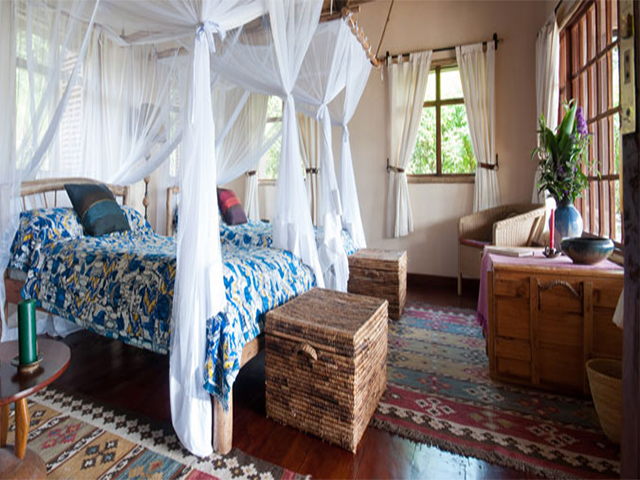 The eco friendly Virunga Lodges are located in the lap of nature, overlooking the Virunga volcanoes and shimmering lakes Ruhondo and Bulera. After lunch, we will depart for our first safari destination - the Volcanoes National Park. The route to the park goes northwards, through the beautiful terraced hillsides that characterise much of Rwanda's landscape. The path gradually reaches the base of the awesome Virunga volcanoes, from where sometimes as many as five peaks are visible. Volcanoes National Park (also known by its french name, Parc National des Volcans) lies in the Democratic Republic of Congo. Gazetted in 1925, it is the first national park to be created in Africa. The park,covering about 7,800 square kilometers, is an ideal destination to spot Mountain Gorillas closely. It is known for its exceptional diversity, containing more birds, mammals and reptile species than any protected area on the African continent. You can spot Elephants and Chimpanzees along with Okapi, Giraffes, Buffaloes and many endemic birds. Today we go Gorilla tracking. However this activity is subject to permit availability at the time of your booking. Although Gorillas are gentle beings, care should be taken to maintain a fair distance from them as they can be disturbed by the slightest provocation and turn wild. It is advisable not to speak loudly in their presence. They should not be offered food and visitors should avoid eating around the vicinity of the Gorillas. Also, remember not to use flash photography while taking pictures of Gorillas. The endangered Mountain Gorilla, a sub species of Eastern Gorillas, inhabits the Albertine Rift montane cloud forests of the Virunga Volcanoes, ranging in altitude from 2,200–4,300 metres. They mostly dwell on the slopes of three of the dormant volcanoes: Karisimbi, Mikeno, and Visoke. Tracking Gorillas through the light mountain forest on the slopes of the Virungas is a magical experience. If you are lucky you can get to the Gorillas, spend an hour with them, and be back at the base in time for a late lunch! Some Gorilla families, however, are more elusive, and tracking can take a full day, especially when it is wet and muddy. Visitors today have an option of either going for Gorilla tracking again in Volcanoes National Park or visit the Golden Monkeys, an old world monkey known to reside in highland forest, especially near bamboo trees. Please ensure that you have already made an extra payment for this trip at the time of booking. A drive to Gisenyi city, is also a great way to explore the small city with three sandy beaches. The place is also known for water sports. You can also visit Ros Carr's orphanage called Imbabazi Orphanage in the vicinity. Rosamond Halsey Carr set up the orphanage for the children who were orphaned or lost in the aftermath of the Rwandan Genocide in 1994. Lake Kivu, one of the African Great Lakes, is an interesting place to see. The huge lake, with an area of 2,700 square kilometers, is known to be explosive in nature. A walk to Lake Bulera can be a rewarding experience as well. Visitors can also plan to climb the Visoke and Muhavura volcanoes, or trek to the grave of American naturalist Dian Fossey. Fossey, is renowned for her researches on primates and her contributions in raising the awareness of the world towards their conservation. She spent about 18 years living in the area and studying the behavior patterns of various groups of Gorillas. Alternatively, those interested to learn about the local people should visit the local school and community projects. Today is the last day of your holiday in Rwanda. We leave for Kigali. Kigali is the capital and the largest city of Rwanda and is the hub of the political, economic and cultural activities of the country. It is also well connected by other international destinations. Time permitting, grab a chance to go for a tour of Kigali city as well as visit the market, handicraft shops and a pottery project. The genocide memorial in the city, built in the memory of mass murder of an estimated 800,000 Tutsi people in Rwanda, that happened in 1994 over a period of 100 days, is also worth a visit. The man slaughter was organised by the Hutus tribe after the assassination of their leader Juvénal Habyarimana. The spot is the mass grave of victims and holds permanent exhibition for the benefit of those who survived. Later you will be transfered to the airport in time for your flight back home.